Have you ever wanted a server API that modifies cells in a Google Sheet, to execute a Google Apps Script app from outside of Google Apps, or a way to use Apps Script as an API platform? Today, we’re excited to announce you can do all that and more with the Google Apps Script Execution API. One of our launch partners, Pear Deck, used the new API to create an interactive presentation tool that connects students to teachers by converting slide decks into interactive experiences. Their app calls the Execution API to automatically generate a Google Doc customized for each student, so everyone gets a personalized set of notes from the presentation. Without the use of Apps Script, their app would be limited to using PDFs and other static file types. Check out the video below to see how it works. Bruce McPherson, a Google Developer Expert (GDE) for Google Apps, says: “The Execution API is a great tool for enabling what I call ‘incremental transition’ from Microsoft Office (and VBA) to Apps (and Apps Script). A mature Office workflow may involve a number of processes currently orchestrated by VBA, with data in various formats and locations. It can be a challenge to move an entire workload in one step, especially an automated process with many moving parts. 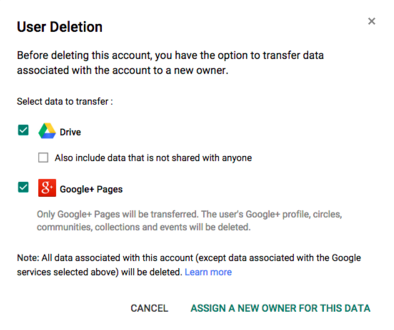 This new capability enables the migration of data and process in manageable chunks.” You can find some of Bruce’s sample migration code using the Execution API here. The Google Apps Script Execution API is live and ready for you to use today. To get started, check out the developer documentation and quickstarts. We invite you to show us what you build with the Execution API! 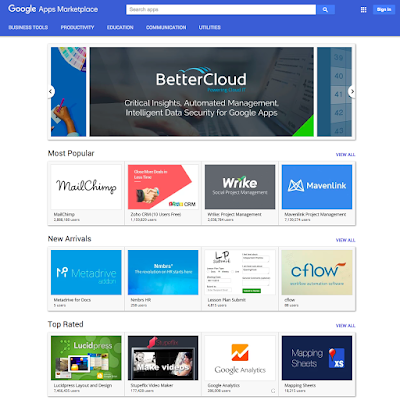 The Google Apps Marketplace brings together hundreds of third-party applications that integrate with and enhance Google Apps for Work. It’s a great place to get discovered by more than five million Google Apps customers. Many of these customers depend on Google Apps Marketplace to find the solutions their organizations need, driving millions of users to the top listed apps. Today, we’ve launched a brand new Google Apps Marketplace site aimed to improving discoverability and getting your app installed by even more customers. No need to do anything if you’ve already listed your app publicly on Google Apps Marketplace. Your app will appear on the new site automatically. If you haven’t listed your app yet on Google Apps Marketplace, follow these instructions to get started!